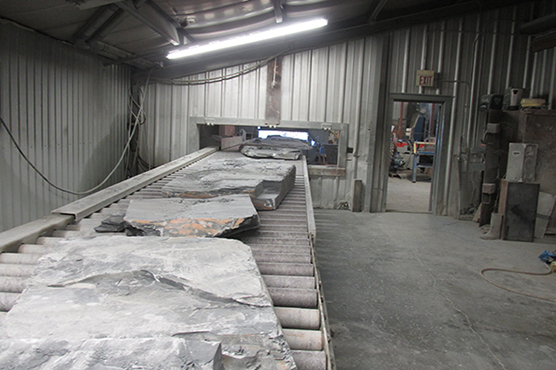 Slate manufacturing begins with the stone. 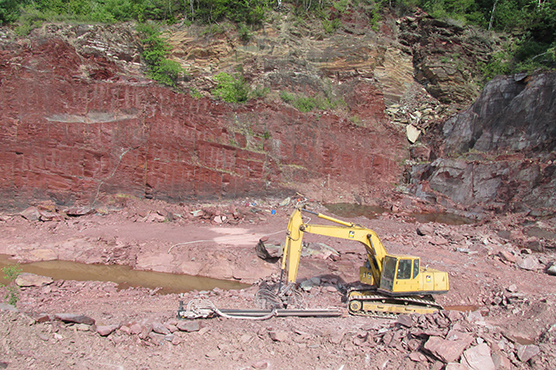 Close to the surface or hundreds of feet deep, the metamorphic deposit must be excavated. 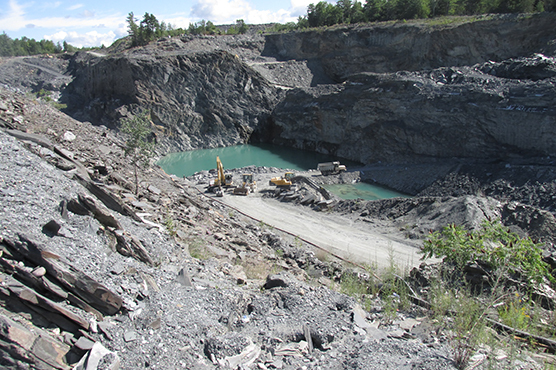 A combination of blasting and the use of enormous quarrying machinery is used to prize the rock from the ground. 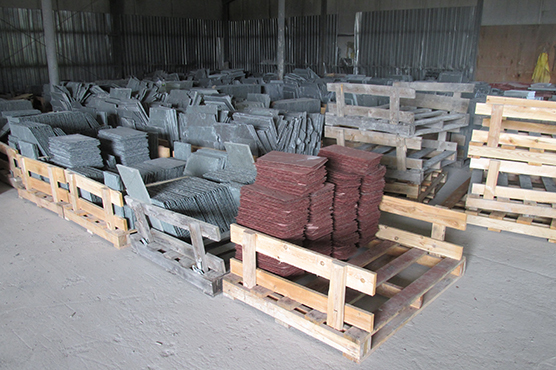 The slabs of slate are transported to the mill where they are inspected and their best use decided. 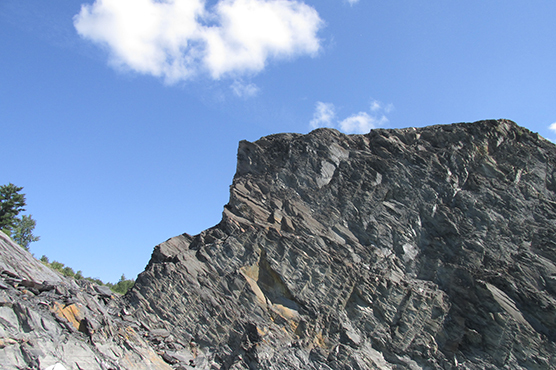 Most slate is used for roofing, while a portion is allocated for architectural use. Architectural slate needs to be of the finest quality and large dimensions, as it finds use in structural elements, paneling, tile, counter-tops, sinks, billiard tables, chalk-boards and slate-craft. 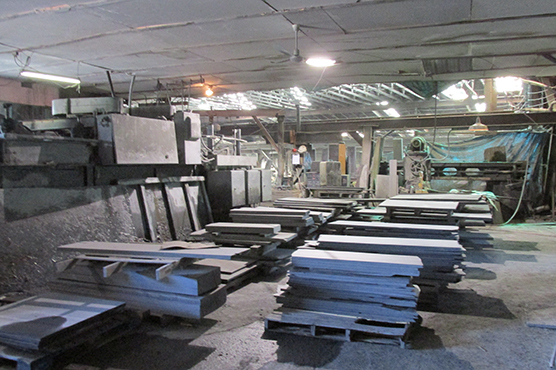 Roofing slate is made in many dimensions so can be cut from a larger variety of block sizes. 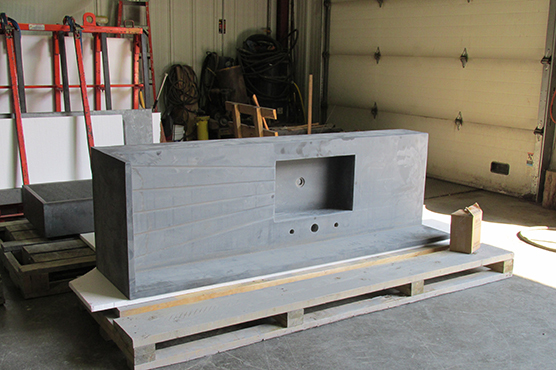 Slate for roofing are sawn into blocks, a little larger than the intended final size. 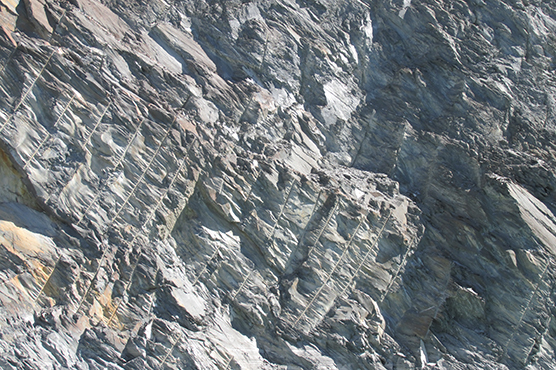 These blocks are split, first in half, in quarters and in eighth pieces, so long as the slate permits. The eight pieces produced are known as a “book”. Each individual piece as a “chip”. 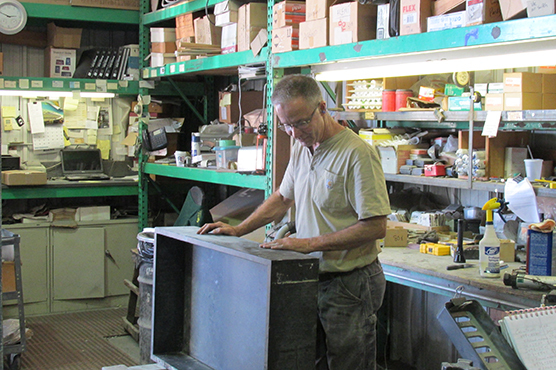 The chips are next squared off and trimmed to the size required. Individually or in stacks, two nail-holes are drilled in each one. These are then inspected, counted and stacked on pallets for storage. 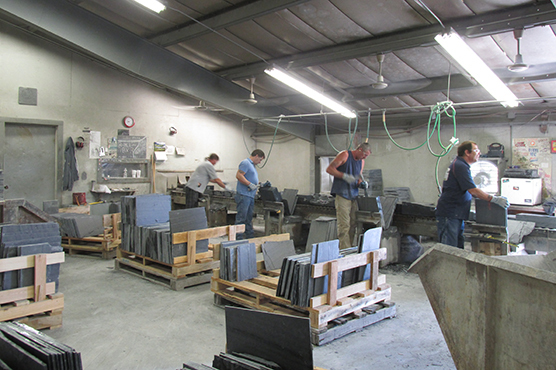 Architectural slate goes through various processes before production is complete. 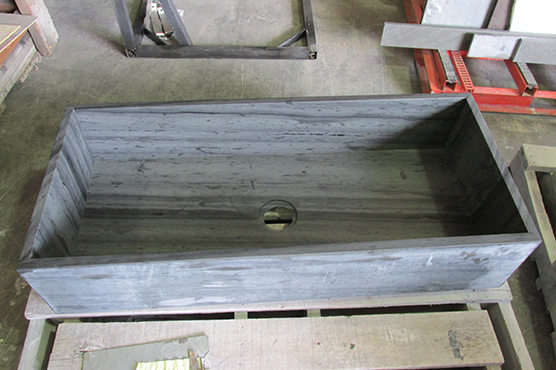 The slate is split or sawn, gauged (made to even thickness), honed to various finishes and sometimes “flamed”. 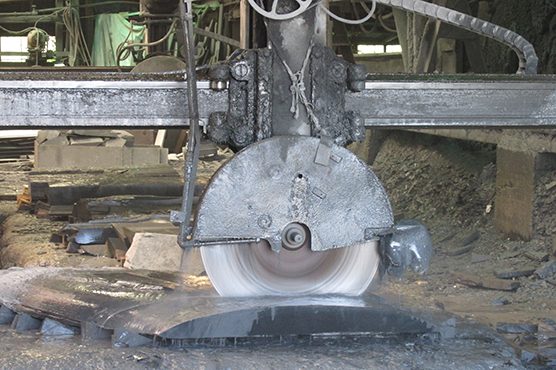 In this process, the slate is torched with a gas flame and then bombarded with freezing water. The result is an even, slightly textured finish that removes all traces of saw blades and any irregularities. 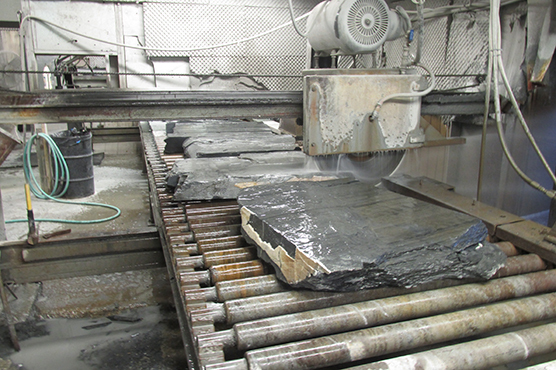 Preparing architectural slate for a fine finish requires many steps of sanding and dressing.